Qualifies professionals to act as leaders on the global business stage. You will develop in a multicultural environment and be in close contact with companies. Possibility of international internship and experience at the world’s best business schools. Classes from Monday to Thursday (morning, afternoon or evening); Fridays reserved for seminars and external visits. The Professional Master’s in International Management (MPGI) program, in partnership with renowned foreign institutions, qualifies professionals to take on leadership positions in the global business environment. The program offers the opportunity to obtain a double degree: a master’s in international management from FGV EAESP, and another degree from a partner foreign institution. There are two course modalities: Intensive and Regular. 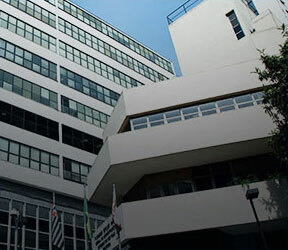 In the first one, students study for six months at FGV EAESP and six months at one of the school’s excellent partner universities: CEMS (7th best international master’s, according to the Financial Times in 2017), Yale SOM (United States), HEC (Paris), Science-Po (Paris), Saint Gallen (Switzerland), Bocconi (Italy), Nova (Lisbon), Columbia-SIPA or Esade (Barcelona). In the Regular modality, there are two possibilities: to study for one year at FGV EAESP and one year at another partner university. In both modalities, students receive a double master’s, from FGV EAESP and the partner university. Are you ready to change careers? Sign up now. Want to receive more information about the Professional Master’s in International Management (MPGI)? Receive information about the course and updates on applications and other matters. 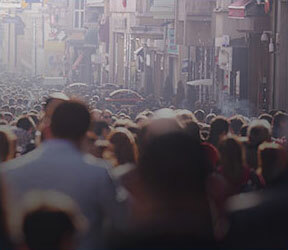 Why do a Master’s in International Management (MPGI) at FGV EAESP? FGV EAESP’s master’s courses received excellent scores in the latest evaluations by the Brazilian Education Ministry’s graduate education support agency, CAPES, and they are recognized as among the best in Brazil. The MPGI offers the opportunity to obtain two master’s degrees – one in international management from FGV EAESP, recognized by CAPES, and another from a partner foreign institution of excellence: one of the 30 member schools of the Global Alliance in Management Education (CEMS), Yale SOM (United States), HEC (Paris), Science-Po (Paris), Saint Gallen (Switzerland), Bocconi (Italy), Nova (Lisbon), Columbia-SIPA or Esade (Barcelona). 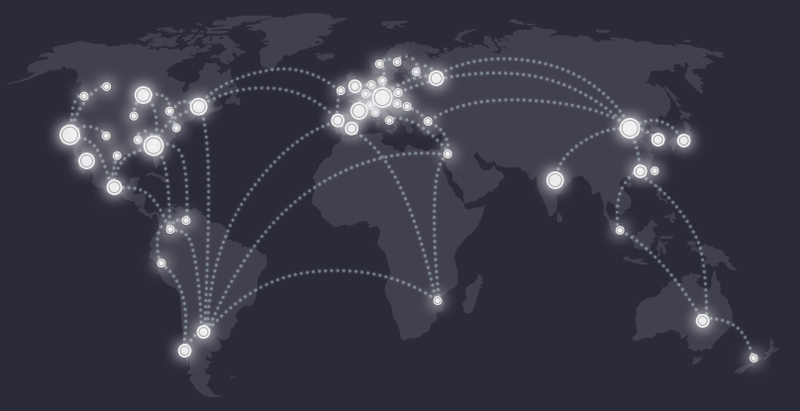 The MPGI has a partnership with renowned universities: one of the 30 member schools of the Global Alliance in Management Education (CEMS), as well as Bocconi University, Columbia-SIPA, ESADE Business School, HEC-Paris, HKUST, Nova School of Business and Economics, Saint Gallen, Science-Po and Yale. FGV EAESP has a partnership with a variety of domestic and multinational companies, facilitating students’ entry into the job market. FGV EAESP is one of a handful of higher education institutions in Latin America and the only one in Brazil to have its excellence recognized by triple international accreditation (from AACSB, EQUIS and AMBA). of our alumni join the global job market within three months of completing their course. 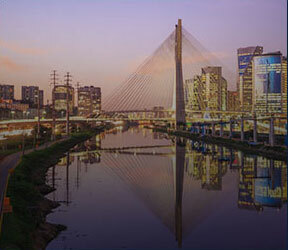 of alumni on the Master’s in International Management (CEMS / FGV EAESP) work outside Brazil. The MPGI is part of the CEMS Alliance, one of the largest global networks of multinational companies and cutting-edge education institutions. Foreign students visit multinational company’s project in community of Heliópolis, on Sao Paulo’s south side. CEMS holds its commencement ceremony in a different country every year, involving the entire CEMS community. Our CEMS cohort kicked-off the Fall semester with an amazing trip to Vale do Ribeira to explore local sustainability practices and development. During five days, we had a deep connection with the community and with the nature, and we learned how local sustainability works on a hands-on experience that changed our mindset about the theme. Block Seminar is a week-long academic and culturally intensive activity that is a compulsory part of the CEMS curriculum. Find out the requirements and processes to become a student on a CEMS network course. Professionals with at least five years of experience in people management, advanced knowledge of English, an undergraduate or graduate degree in administration or related areas, and in a leadership position at their organization.